Hello Sunshine! It sure has been getting warm around here, and you know what that that means… It’s time to break out the frosty cool treats! Hooray! 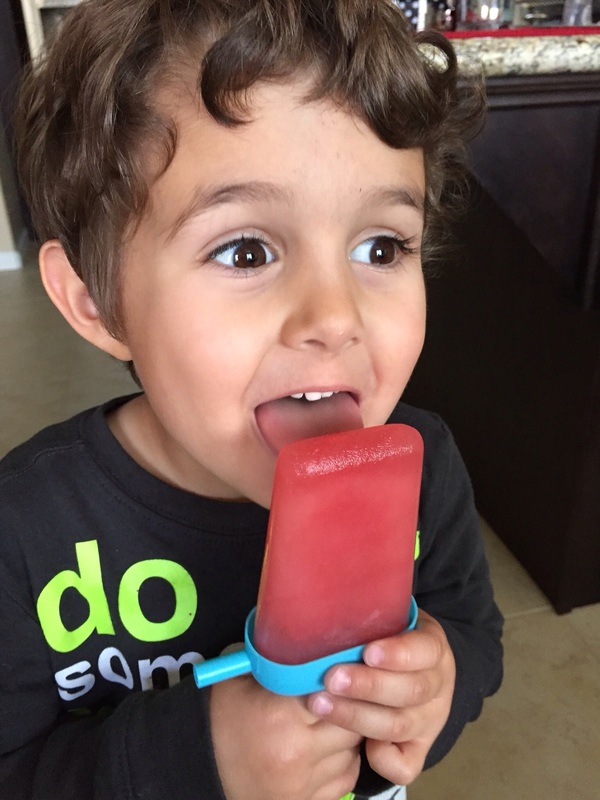 If your family is anything like ours, you probably consume massive amounts of delicious frozen, icy treats (like popsicles or ice pops)- especially during the hotter months. 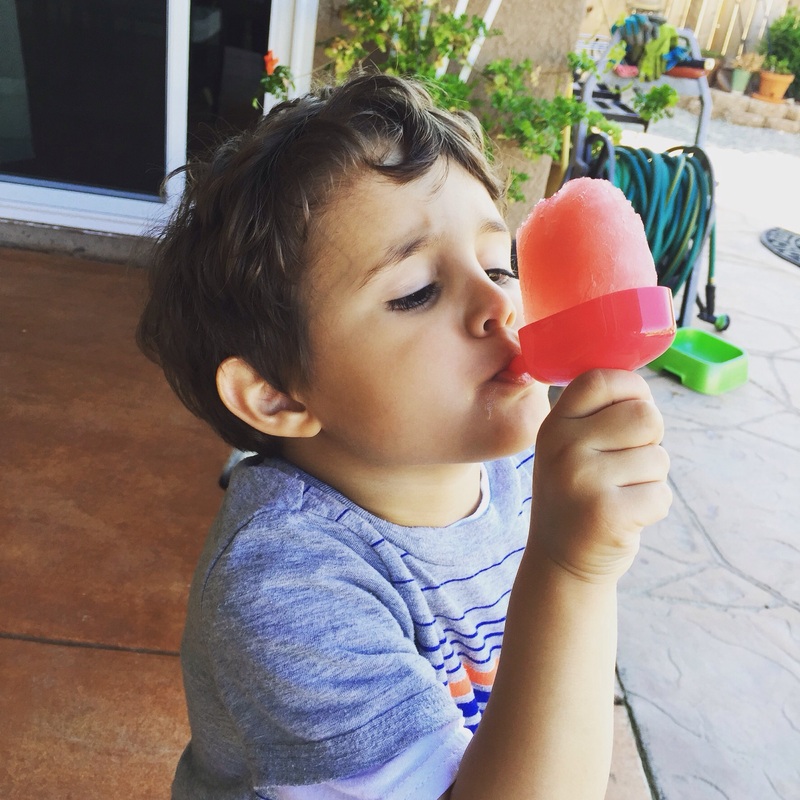 Not only are they refreshing and cool, ice pops are a great way to stay hydrated as well. Yep, I will definitely have this on hand ALL summer long! It’s AWESOME as an ice pop! The bonus for me is that it’s only 28g of sugar per 8oz serving, and since each of our ice pop moulds (from Ikea) are about 2oz each, that means each pop only has about 7g of sugar! Mom for the win! Plus, these are so easy to make, you feel like you are cheating! 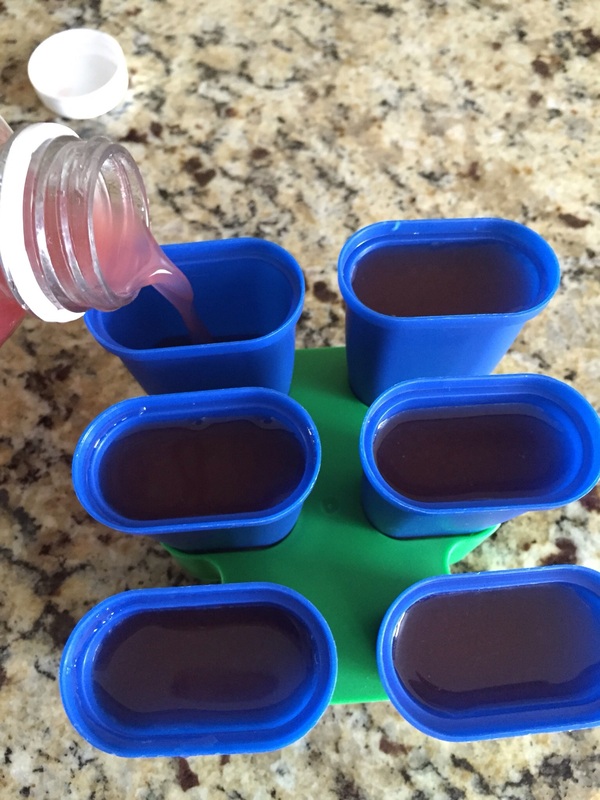 Here is a great, simple DIY frozen “cheat” for you and your kiddos to enjoy on those warmer days! 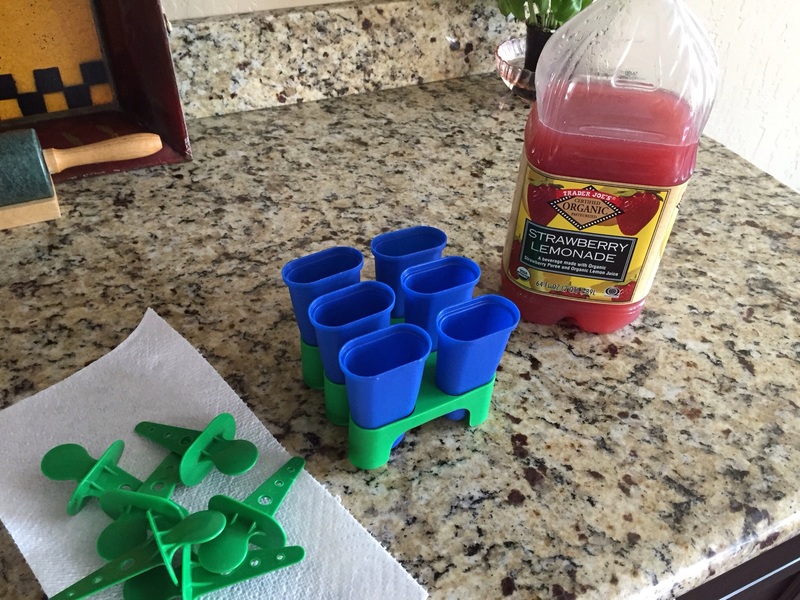 Pour Trader Joes Organic Strawberry Lemonade into your Ice Pop/Popsicle mould, put handle cover or stick into top, and pop in the freezer until they are fully frozen. We usually wait until the next day (about 24 hours) to dig into these tasty treats, but if you can’t wait that long I think about 6 hours should freeze these delectable goodies pretty well. 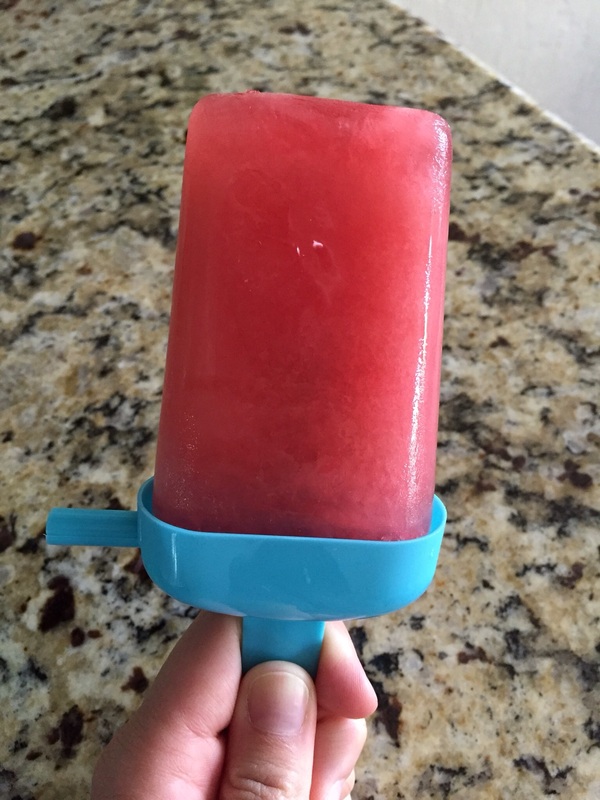 This awesome frozen “cheat” not only tastes wonderful, it’s a fun way to introduce the kids into the kitchen. Teaching them how to “prep” or “make” something that they can eat is an essential tool for healthy eating habits! It’s something simple that you can do together, with minimal mess and clean up. My little guy was SO proud of himself when he got to enjoy the benefits of all of his hard “work”! Yum! What are your favorite tasty “cheats”? Do you have recipes that your little ones enjoy helping with? Let’s share!